Here are updates from Nintendo... but since multiple things have been repeats... (which include a lot of games) we haven't really posted the highlights because we'd rather move forward (unless new updates come about with an existing game). This had to be brought up... because Nintendo canNOT play around with developers and offerings. There cannot be a repeat on the Nintendo NX... (just... No), can't happen, I really really hope they've learned and are actually listening. There are talks about some Nintendo games becoming an annual thing. You know how bad that sounds... to me? I think of a loss of quality to get things out to meet a year release date the way EA does with sports games (granted updated rosters)... and the way they tried to release shooters that way until it the quality came crashing down. I'm glad various teams work on individual Call of Duty games, but it would be great to see what they could do together to deliver. They have their business model for annual releases between COD adventures, but I could just imagine if... that were simply one focus making the most technically advanced COD game to date. It would take the right structure so that there just aren't a bunch of people getting in the way of each other... but it could work. Anyway... an annual release is a scapegoat to get out of creating new IPs in some cases, and there are enjoy companies doing it. I don't want to see this from Nintendo, but lets see what the NX will bring. 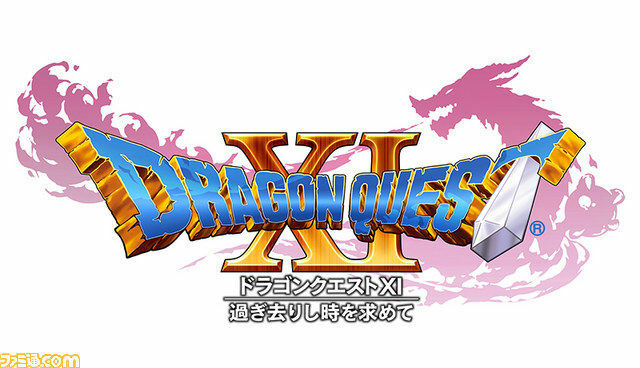 Speaking of the NX... Tyler R. hit us up around the beginning of this month about the Dragon Quest XI: In Search of the Departed Time game... coming to the Nintendo NX, 3DS , and PS4 . It excited him... in regards to the NX because the PS4 version will be using the Unreal 4 Engine, so he can't help but wonder what that means for the NX (along with the 3DS version featuring full 3D on the top screen). What does it mean for the Nintendo NX? It could actually mean various things, because a game can be made to fit a platform if the developer chooses, even making a 2D version... of a 3D game. 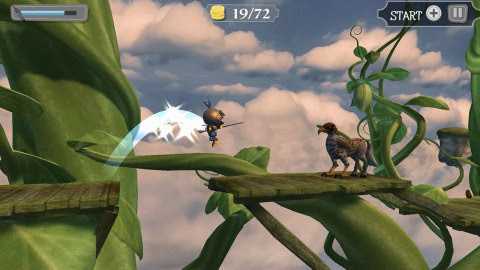 Wind-up Knight 2 – In this relentless action platformer, play as Sprint, the clockwork knight who just … can’t … stop. Your skills will be pushed to the absolute limits as you jump, swing, roll, attack and endure countless dangers, including traps, cliffs and assorted enemies. Pandora’s Tower – Pandora’s Tower tells a haunting tale about a cursed young woman’s slow transformation into a hideous beast, and the lengths to which the man she loves will go in order to save her. The stylish action RPG originally launched for the Wii console and is now available to download in the Nintendo eShop on Wii U. 3D Game Collection (Nintendo 3DS), Murder on the Titanic (Nintendo 3DS ) and Suspension Railroad Simulator (Wii U) from Joindots are on sale until 8:59 a.m. PT on Aug. 27. Bombing Bastards (Wii U), Spot the Differences: Party! (Wii U) and Talking Phrasebook – 7 Languages (Nintendo 3DS) from Sanuk Games are on sale until 8:59 a.m. PT on Aug. 20. TNT Racers – Nitro Machines Edition is 37 percent off (reduced from $7.99 to $4.99) until 8:59 a.m. PT on Aug. 13. Blocky Bot and Paper Monsters Recut from Mobot Studios are on sale until 8:59 a.m. PT on Aug. 27. Jeopardy!, Wheel of Fortune and more titles from Nordic Games are on sale until 8:59 a.m. PT on Aug. 27. Stone Shire is 25 percent off (reduced from $7.99 to $5.99) until 8:59 a.m. PT on October 1. Excave II: Wizard of the Underworld is 50 percent off (reduced from $10 to $5) until 8:59 a.m. PT on Aug. 20. Alien on the Run, Undead Storm Nightmare and Jump Trials Supreme from G-style are on sale until 8:59 a.m. PT on Aug. 27. Nano Assault EX is 25 percent off (reduced from $9.99 to $7.49) until 8:59 a.m. PT on Sept. 3. Van Helsing Sniper Zx100 is 47 percent off (reduced from $6.66 to $3.49) until 8:59 a.m. PT on Sept. 10. Pokémon Omega Ruby and Pokémon Alpha Sapphire - Get Shiny Rayquaza with Dragon Ascent – Soar into battle with Shiny Rayquaza, available now via the Nintendo Network. This Shiny Rayquaza is not only rare, it is also amazingly powerful. Shiny Rayquaza knows the Dragon Ascent move, which allows it to Mega Evolve and dominate its opponents. This Shiny Rayquaza will be available via Nintendo Network until Sept. 14, so don't miss this limited opportunity! For more details, go to Pokemon.com/Rayquaza. Code Name: S.T.E.A.M. “Second Star” Tournament – See how your squad stacks up online in Nintendo’s Public Tournaments. Top players earn unique titles that are visible online and earn major bragging rights with your friends and around the world. The new “Second Star” tournament runs Aug. 14 through Aug. 17. Opt in via the SpotPass feature for notifications about future tournaments. Good luck, agents! Pokémon Shuffle Summer Special – Buy Jewels and Get Six More Free! – Now until Aug. 16, when you purchase six or more Jewels in the Pokémon Shuffle game with your Nintendo eShop funds, you’ll be eligible for a one-time gift of six additional Jewels for free. For more details, head to http://www.pokemon.com/us/pokemon-news/a-deal-on-pokemon-shuffle-jewels. Art Academy: Home Studio Art Contest – It’s not too late to enter the Art Academy: Home Studio art contest for your chance to win a $20 Nintendo eShop Card ! Upload a time-lapse video of your work to YouTube using the “Recordings” feature in the game and tweet us @NintendoAmerica with a link to your video and the hashtags #ContestEntry and #NintendoArtContest until Aug. 20 at 5 p.m. PT. Check here to view a video about the contest. Get the family together and head to the Nintendo World store in Rockefeller Plaza on Saturday, Aug. 22nd, for an exclusive screening of two new episodes of Nicktoons’ LBX: Little Battlers eXperience TV show. The new season of LBX: Little Battlers eXperience premieres Sunday, Oct. 18th, so you’ll be among the first to see the new episodes before they air. After the screening, stay to play the new Nintendo 3DS game based on the show with experts from Nintendo, and enter an on-site drawing for a chance to win a cool mini robot figure! A game expert from Nintendo will be on hand to introduce Little Battlers eXperience. The new game lets players customize their own mini robots using more than 4,000 parts and battle other players’ robots. 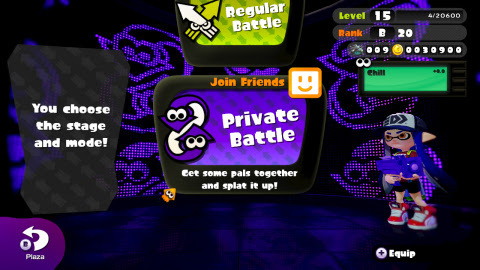 Players can also battle against their friends or team up with in-game characters that are also from the TV series for local 3-on-3 battles. Attendees will be able to try out these different game-play features at the event. In the new season of LBX: Little Battlers eXperience, Van Yamano is on his way to the exclusive release of a ground-breaking new prototype when the onslaught of unknown enemies and machines that seem to think for themselves make the threat of impending chaos greater than ever. Thankfully, the next generation of LBX players is on the horizon. With his friends and a new LBX by his side, Van is ready to battle on! *Mini robot on-site drawings will follow the screening times and run for approximately two hours. Families battling each other in Little Battlers eXperience for Nintendo 3DS. Fans of all ages gathered to watch new episodes of LBX: Little Battlers eXperience weeks before they air on television. Etrian Odyssey 2 Untold: The Fafnir Knight – Experience a new story with a fixed party, voiced dialogue and animated cut scenes in the incredible world of Etrian Odyssey 2 Untold: The Fafnir Knight. Or revisit the original Etrian Odyssey 2 game with updated graphics and a full roster of classes. Whichever path you choose, there will be exciting dungeons and frightening enemies! Golden Sun: The Lost Age – It is the dawn of a new age. The heroes of Golden Sun have been abandoned, and the land is falling into darkness. Now the world’s final hope may also be its doom. Manipulate the environment with psychic energy and fell whatever beast stands in your way to safeguard humanity before the heroes of the originalGolden Sun can stop you. Citizens of Earth on Wii U and Nintendo 3DS is 66 percent off (reduced from $14.99 to $4.99) which is pretty good... but it's a limited time. GetClose: A game for RIVALS is 66 percent off (reduced from $2.99 to $0.99) for a limited time. Stealth Inc. 2: A Game of Clones is 50 percent off (reduced from $14.99 to $7.49) for a limited time. Blok Drop U, Spikey Walls, TOSS N GO and more titles from RCMADIAX are on sale for a limited time. Plenty of Fishies is 40 percent off (reduced from $4.99 to $2.99) for a limited time. Tiny Galaxy is 33 percent off (reduced from $5.99 to $3.99) beginning August 7 until September 30. Etrian Odyssey Untold: The Millennium Girl is 50 percent off (reduced from $29.99 to $14.99) until Aug. 10. Art Academy: Home Studio Art Contest – Enter the Art Academy: Home Studio art contest for your chance to win a $20 Nintendo eShop Card code! Upload a time-lapse video of your work to YouTube using the “Recordings” feature in the game and tweet us @NintendoAmerica with a link to your video and the hashtags #ContestEntry and #NintendoArtContest. Click here to view a video highlighting this contest. NO PURCHASE NECESSARY. Void where prohibited. Must be a legal resident of US (incl. 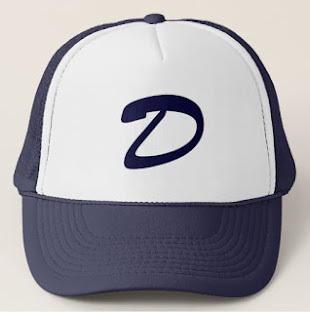 DC) or Canada (excl. Quebec) 18+. 25 winners receive a Nintendo eShop Card code (ARV $20 ea). Additional terms and conditions apply. Click here for official rules. Sponsor: Nintendo of America Inc.
Shin Megami Tensei IV will be reduced to $19.99 (from $29.99) beginning on Aug. 10. Yatagarasu Attack on Cataclysm… reviewed! Sentey Harmoniq Pro Gaming Headphones… reviewed!